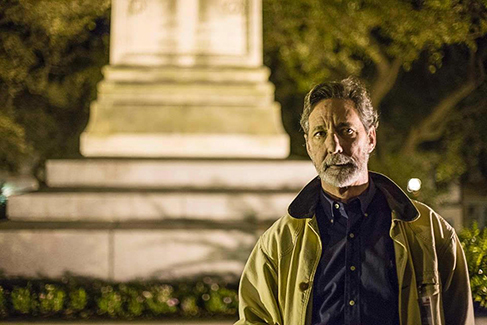 Veteran tour operator Robert Edgerly has written the book on Savannah's haunted history. The long-awaited revised and updated 5th edition of Savannah Hauntings: A Walking Tourist Guide Book brings to vibrant life supernatural Savannah. Drawing on his own experiences, the Savannah native recounts scores of unbelievable--but true!--accounts of ghostly activity in the city's historic district. These are the stories that have fueled his highly-successful walking tour for almost two decades. The rich history of Savannah provides the backdrop for these ghost tales. Incorporating eye-witness accounts into this history, Savannah Hauntings offers the visitor a better understanding of Savannah's mysteries. Robert's extensive knowledge of the city's past is incorporated into the chilling and mysterious stories that range from Native American burial practices to an exorcism at a home restored by Jim Williams, the central figure in Midnight in the Garden of Good and Evil. Savannah Hauntings includes an easy-to-use map of the historic district and index of haunting accounts so that both the book and the supernatural can be your close companion while walking through ghostly Savannah. "Do you love ghost stories? I promise you will not only enjoy this book, you will learn about Savannah. When you get a copy of Savannah Hauntings, take a tour with Robert, a Savannah native, at See Savannah walking tours; take the kids, have fun, learn a lot."